Mega Sale! 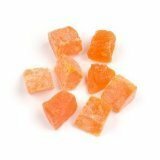 Up to 27% off on Dried Papayas at Miss Patisse. Top brands include Dried Fruit, YANKEETRADERS, Dylmine Health, CandyMax, Presto Sales, OliveNation, Melissa's, Heart DeLight, AIVA, & Sunbest. Hurry! Limited time offers. Offers valid only while supplies last. Papaya Dried Spears - 11 LBS. Papaya Dried Chunks - 11 LBS. 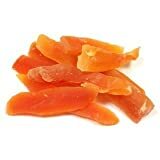 Dried Papaya Chunks, 11 Lb bag, Candymax-5% off purchase of 3 any items,! 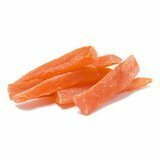 Heart DeLight Dried Soft Tasty Tropical Papaya Fruit 280 gr. - 9.87 oz. 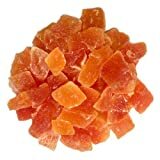 Dried Papaya Chunks, 5 Lb bag, Candymax-5% off purchase of 3 any items,!